To sign up for a gig, just add your name to the gig diary on Wednesday night. Friday 17th May, 7:00-10:00 pm, Buskers Concert, Bridgnorth Castle Hall. As many players as possible. Monday 3rd June, St Michael’s Fellowship group, St Michael’s Church, Madeley, TF7 5BN, 2:00 pm. Saturday 24th August, Tony & Shelley’s wedding, 5:30 pm onwards, Bodenham Arboretum. £1,881 raised for charity since 2018, £1,005 in association with other players. Club members previously raised in excess of £30,000 between 2010 – 2018 as part of the Bridgnorth Ukulele Band. 9/4/2019, concert for Age UK Telford & Wrekin Dementia Group. £36 raised for CRUK. 27/1/2019 – members of the club were interviewed and performed live, on air, on Newport Nova FM. 19/12/2018 – Bridgnorth Ukulele Club Chirstmas Party. Raffle raised £135 for CRUK. 01/12/2018 – busk at Much Wenlock Christmas Fayre as part of “Ukes United”. 17/11/2018 – busk for Children in Need, Much Wenlock Corn Exchange. In conjunction with members from Broseley Acoustic Band and Band on the Edge, we raised £480 for Children in Need. 07/11/2018 – donation of £15 to CRUK from club members Tom and Noel. 27/10/2018 – Stand Up To Cancer busk, Bridgnorth Cancer Shop. £297.28 raised. 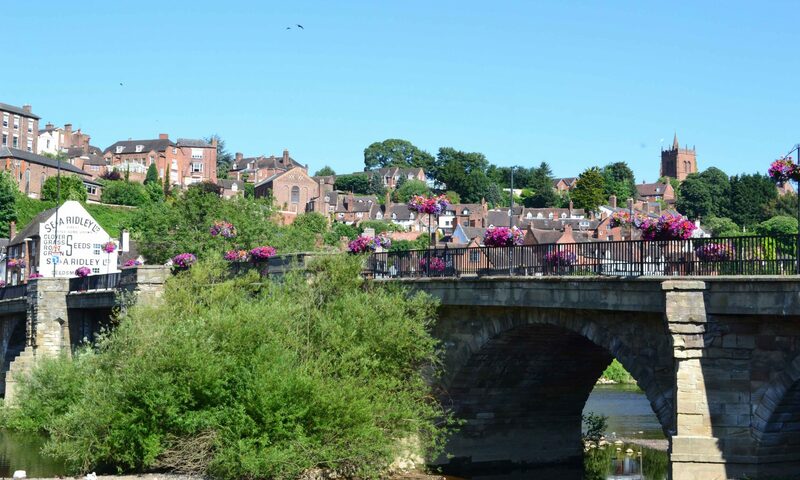 02/09/2018 – Bridgnorth Ukulele Club Summer Social, with thanks to Bridgnorth Town Council for use of the Castle Grounds. £225.67 raised for Stand Up To Cancer. 07/07/2018 – club members performed at a Wolverhampton street party raising £167 for Cancer Research. 30/06/2018 – club members formed part of the “Ukulele Collective” and performed at Music in the Park, Baggeridge Country Park, raising £525 for Compton Hospice.